Still in development through a series of workshops, professional labs, and grants Love Machine exemplifies a creative building process that is as integrated and relevant to the story told, as the technology. Love Machine is a combined performance and interactive installation that explores the relationship between the human tendency towards love and the technology that surrounds us. The reactive digital experience ofLove Machine is centered on VirtuLife, a fictional service that allows the user to upload their consciousness and guarantees techno immortality. The audience is challenged to consider their own participation in this program as well as experience the journey of previous users through the lens of the memories that comprise their VirtuLife profile. The team of Love Machine seeks to explore new opportunities to use responsive and interactive technologies towards theatrical storytelling. The group responsible for Love Machine, Future Action Science Theater, is dedicated to presenting 21st century stories that are based in scientific research. 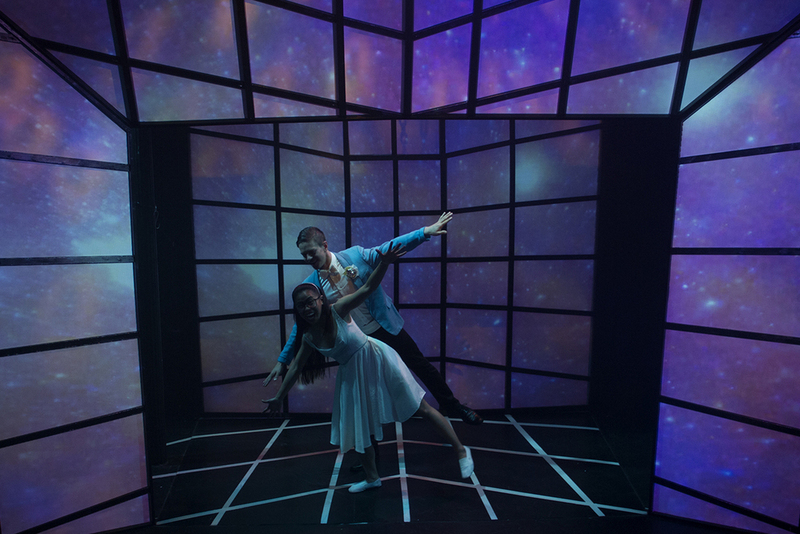 From controlling the audience’s cellphone through a custom app, tracking actor and audience movements and using props to bend sound and control speaker placement, Love Machine is the next wave of storytelling that synthesizes custom programming as an essential component to immersive art.